Is President Obama’s Idea Of “Existential Threat” More Like Chamberlain or Churchill? When President Obama said that terrorism was not an existential threat it had me confused. Then someone remarked that World War II was an example of an existential threat and I immediately thought of Neville Chamberlain’s famous remark in his speech concerning the Munich Agreement, ”Peace for our time”. Mr. Chamberlain probably thought he had successfully minimized Hitler’s “existential threat” for the relatively small political price of conceding the German-populated Sudetenland region of Czechoslovakia to Germany. 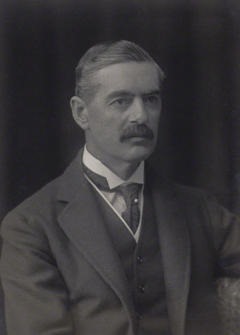 In less than a year after the agreement, Europe was plunged into World War II and less than eight months later Chamberlain had resigned. It is obvious that both Churchill and Roosevelt thought Hitler represented a clear and present danger to their countries but I doubt they thought of him as existential threat. How could they imagine the terror the Germans would bring by indiscriminately bombing London or the Japanese would bring by launching a surprise attack on Pearl Harbor. It was an incremental war that got ratcheted up with each act of aggression. Roosevelt correctly foresaw the risk Hitler posed and bent over backwards to support Britain in their fight with Germany well before we had a formal Declaration of War. The Lend-Lease policy supported England but it also was an act that threatened the plans of both Germany and their ally, Japan. Germany who was not an existential threat to Chamberlain in 1938 quickly became an existential threat to Roosevelt after Pearl Harbor. The die was cast. So who does President Obama’s remarks remind you of, Neville Chamberlain, Winston Churchill, or Franklin Roosevelt? Where are we on the existential threat timeline? Was the bungled Iraq withdrawal the President’s Sudetenland moment?